SMS Pipes is your best source for fine smoking pipes from Turkey and Italy. 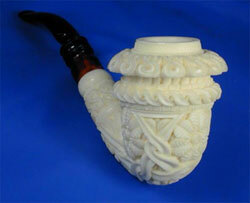 Everyone, who values smoking pipes of the finest Turkish Block Meerschaum, knows the SMS Meerschaums brand name. The SMS logo is recognized worldwide. Since 1980, owners Samil and Beth Sermet continue to set the highest standards and maintain the best reputation for dependable meerschaum pipes in the industry today. Lorenzo supplies Italian briar smoking pipes that are unique yet affordable. From its earliest days in 1900, Lorenzo has established a reputation for a great briarwood smoking pipe. Today, Lorenzo has a bright future under the leadership of Riccardo Aliverti, general manager, and his son Massimo, sales director. Fluent in several foreign languages, Massimo has established a broad customer base around the world. Since 1997, SMS Meerschaums & Briars is the exclusive importer of Lorenzo Briars to the United States. 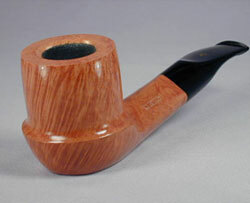 Lorenzo briar pipes may be purchased either individually, by the half dozen or by the dozen. The shape chart for each series includes information on the available color, finish, stem type, packaging and the buying options. Please click the Locate tab and Find a Tobacconist Near You for complete listing of stores where SMS Meerschaums and Lorenzo Briars are sold.